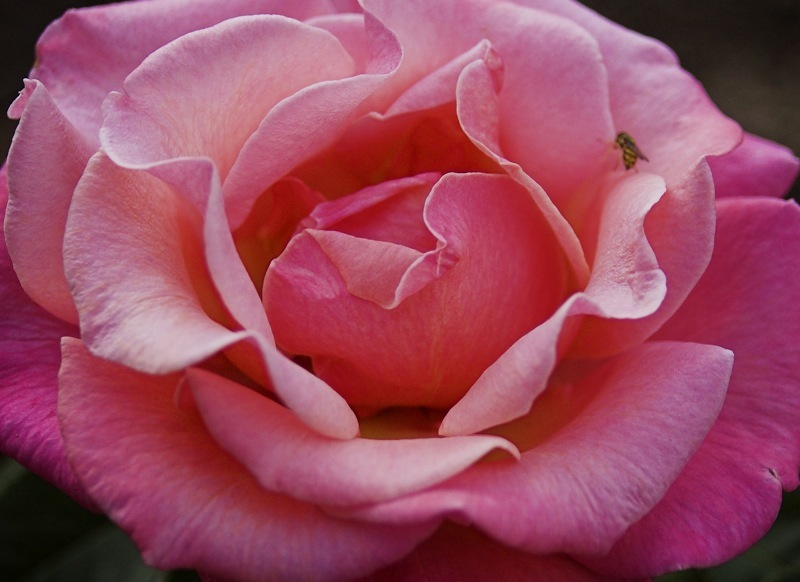 This is the only flower you'll see in this Mother's Day guide. While flowers are great for celebrating Mom, this guide is focusing on gifts that pay it forward. Among them, the companies donate proceeds to charities that benefit children, war refugees and poverty-stricken populations to name just a few. The products themselves are often organic, fairly-traded or upcycled. 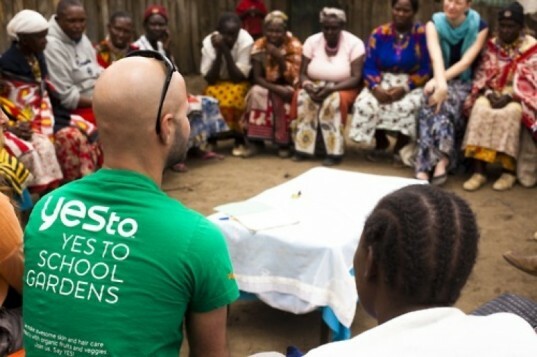 So when buying gifts for that special Mother (or, ahem, recommending gifts that others buy for you), think outside of the big box store: here are six Mother's Day gifts that you can give with the knowledge that you are helping many more people and causes beyond the moms in your life. Being a Mom means occasionally missing out on fashion trends: certain runway styles don’t really translate with sticky hands, rescuing adventurous tree climbers, or rolling around in the grass. But one classic, stylish accessory Mom can indulge in: sunglasses. They have the added bonus of making any Mom look cool, regardless of how much sleep she got last night. With eco-options like TOM’s (yup, the one for one shoe people) as well as a ECO, a line for MODO by green maven and model Summer Rayne Oakes, Mom will look as cool hanging by the kiddie pool as she would on the Riviera. 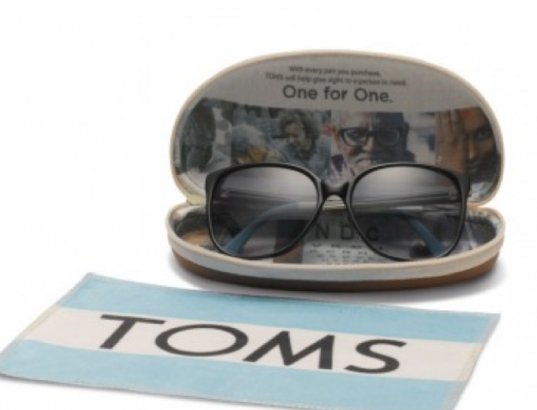 TOMS donates one pair of eyeglasses to someone in need for every pair purchased, and MODO will plant a tree for every pair sold (MODO is also made primarily of recycled or recyclable materials). We’d probably buy anything that hunky actor and activist Hugh Jackman tried to sell us, and the goodies from his Laughing Man line give us even more reason – 100% of the profits from the company go to charity, through their partnerships with organizations and schools like Harlem Village Academies. 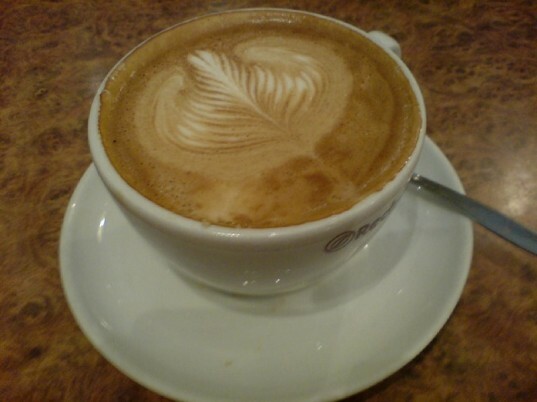 Their line includes coffees, many of which are organic and rainforest alliance certified and teas as well as decadent chocolates, all of which are fairly traded and rainforest certified. La Colombe Torrefaction has a laundry list of ethics that they follow when sourcing their beans, one of the reasons the brand has become the standby for coffee drinkers with a conscience. In addition to several eco-friendly certifications, La Colombe has committed to causes such as the 1,000 Wells project and Project Afrique, aimed at helping with water cleanliness and providing food, housing, education and health care for orphaned children. The company recently partnered with the Leonardo DiCaprio Foundation to create the LYON blend, with 100% of profits going to charity. There are plenty of great green chocolate options out there for chocolates: Lagusta’s Luscious, certain products from Vosges, Divine Chocolate, but we especially love the mission of Rescue Chocolate. 100% of net profits from sales each month benefits a new animal shelter or animal organization. With cute chocolates named in honor of breeds (think Peanut Butter Pitbull and Mission Feral Fig), this vegan line is also perfect for friends and family members who may not have human children, but who love their little animals just as much! 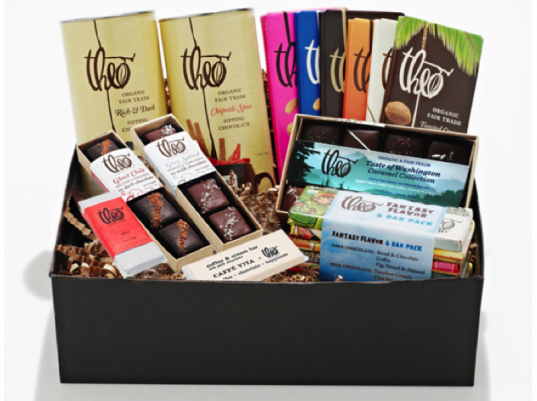 Theo Chocolate is another company that continues to come out with innovative flavors as well as building charitable partnerships: so far they’ve worked with World Bicycle Relief, PCC Farmland Trust and Jane Goodall.The fact that they are the first organic, Fair Trade, Bean-To-Bar chocolate factory in the United States is just the icing on the cake,err, truffle. We can’t wait to visit the factory! Purchasing a necklace from Akawelle has a ripple effect. 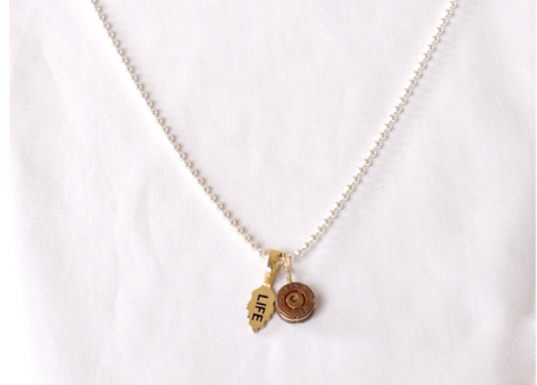 To begin with, the necklaces themselves are made from upcycling bullet casings. The brand’s creator is a former Liberian refugee who was inspired to use a symbol of war to create a beautiful, life-affirming talisman of sorts. This teen fashion designer is paying it forward: 100% of the proceeds from the necklace go to the Strongheart Fellowship, which provides a home/school enrichment program for other war refugees or orphans, now housed in Austin, Texas. Pyrrha has been a hot brand for celebs since it’s inception, with everyone from Katie Holmes to Brad Pitt choosing this inspirational, artisan-crafted jewelry . The pieces are gorgeous, inspired, and green: the necklaces, earrings, and bracelets are made from recycled and reclaimed 14kgold and silver and made by casting 19th century wax seals. Pyrrha continues with their eco-friendly mission through an in-house recycling program and continued support of Animal Acres, a California sanctuary. Comfy shoes are a must for Moms – we’re always chasing after our little ones, hanging out on the playground, or running endless errands. Ethiopian brand solerebels are the only World Fair Trade Organization-certified fairly traded footwear company. Designed to provide jobs in a country where poverty is an epidemic, sole rebels is proud to source many of the materials used in their shoes from within the country, including recycled rubber tires, hand spun and hand loomed organic fibers, and koba plant fiber (made from a native plant cultivated in Ethiopia for over 10,000 years). The brand has tons of funky and colorful styles, including a number of vegan versions! Pamper Mom with cosmetics that are good for her, the planet, and others. The Yes To brand is all about saying Yes To caring for ourselves and is free from parabens, phtalates, and petroleum. With lines such as Yes To Carrots, Yes To Cucumbers, Yes To Tomatoes, and Yes To Blueberries, each with a focus on different skin types, Yes To is almost completely derived from natural ingredients, many of which are organic. For all of us who are obsessive label-readers, here’s the scoop: their kids line is 100% natural and the other lines are between 96-98% natural. The best part: a portion of the proceeds goes to the Yes To Seed Fund to aiding school gardens and in 2012, the company announced a new Yes To Hope initiative to provide funding for organic gardens in Africa (to a population in Kenya where 30% of kids only get one meal a day). With Mom’s knowledge and blessing, pamper her in a different way: organize her closet, pantry (stocking some extra healthy goodies in it, perhaps), or aide in anything that will free up her day or week and let them indulge in a little “me” time instead of laundry time. Helping out with childcare is also a priceless way to help Mom out. And for all those husbands and partners out there, plan a day for her to JUST relax. Moms need recharging, and by easing her load, she can direct her energy back to being a happier, more satisfied, more rested Mama. We all know it’s true, but we’ll say it again: If Mama’s happy, everyone is happier. Have a wonderful day celebrating the Moms in your life! For Mother's Day gifts that give back, we recommend, ahem, ourselves. We've got handmade, fair trade jewelry that supports marginalized artisans in North India get our of poverty. And it's super cute. Use the code 'Moms Rock' at checkout on orders over $20 for free shipping!! We’d probably buy anything that hunky actor and activist Hugh Jackman tried to sell us, and the goodies from his Laughing Man line give us even more reason-100% of the profits from the company go to charity, through their partnerships with organizations and schools like Harlem Village Academies. Their line includes coffees, many of which are organic and rainforest alliance certified and teas as well as decadent chocolates, all of which are fairly traded and rainforest certified. Theo Chocolate is another company that continues to come out with innovative flavors as well as building charitable partnerships: so far they've worked with World Bicycle Relief, PCC Farmland Trust and Jane Goodall.The fact that they are the first Organic, Fair Trade, Bean-To-Bar chocolate factory in the United States is just the icing on the cake,err, truffle. We can't wait to visit the factory! Purchasing a necklace from Akawelle has a ripple effect. To begin with, the necklaces themselves are made from upcycling bullet casings. The brand's creator is a former Liberian refugee who was inspired to use a symbol of war to create a beautiful, life-affirming talisman of sorts. This teen fashion designer is paying it forward: 100% of the proceeds from the necklace go to the Strongheart Fellowship, which provides a home/school enrichment program for other war refugees or orphans, now housed in Austin, Texas. Pyrrha has been a hot brand for celebs since it's inception, with everyone from Katie Holmes to Brad Pitt choosing this inspirational, artisan-crafted jewelry . The pieces are gorgeous, inspired, and green: the necklaces, earrings, and bracelets are made from recycled and reclaimed 14kgold and silver and made by casting 19th century wax seals. Pyrrha continues with their eco-friendly mission through an in-house recycling program and continued support of Animal Acres, a California sanctuary. Comfy shoes are a must for Moms-we’re always chasing after our little ones, hanging out on the playground, or running endless errands. 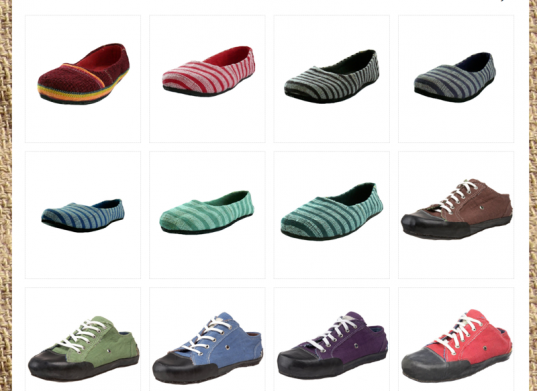 Ethiopian brand solerebels are the only World Fair Trade Organization-certified fairly traded footwear company. Designed to provide jobs in a country where poverty is an epidemic, sole rebels is proud to source many of the materials used in their shoes from within the country, including recycled rubber tires, hand spun and hand loomed organic fibers, and koba plant fiber (made from a native plant cultivated in Ethiopia for over 10,000 years). The brand has tons of funky and colorful styles, including a number of vegan versions! Pamper Mom with cosmetics that are good for her, the planet, and others. The Yes To brand is all about saying Yes To caring for ourselves and is free from parabens, phtalates, and petroleum. With lines such as Yes To Carrots, Yes To Cucumbers, Yes To Tomatoes, and Yes To Blueberries, each with a focus on different skin types, Yes To is almost completely derived from natural ingredients, many of which are organic. For all of us who are obsessive label-readers, here's the scoop: their kids line is 100% natural and the other lines are between 96-98% natural. The best part: a portion of the proceeds goes to the Yes To Seed Fund to aiding school gardens and in 2012, the company announced a new Yes To Hope initiative to provide funding for organic gardens in Africa (to a population in Kenya where 30% of kids only get one meal a day). With Mom's knowledge and blessing, pamper her in a different way: organize her closet, pantry (stocking some extra healthy goodies in it, perhaps), or aide in anything that will free up her day or week and let them indulge in a little “me” time instead of laundry time. Helping out with childcare is also a priceless way to help Mom out. And for all those husbands and partners out there, plan a day for her to JUST relax. Moms need recharging, and by easing her load, she can direct her energy back to being a happier, more satisfied, more rested Mama. We all know it's true, but we'll say it again: If Mama's happy, everyone is happier. Have a wonderful day celebrating the Moms in your life!